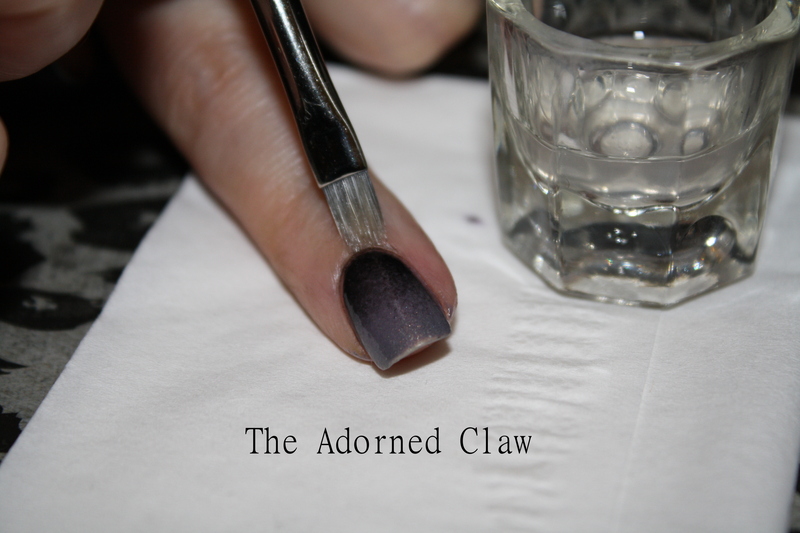 How I Fix A Broken Nail! 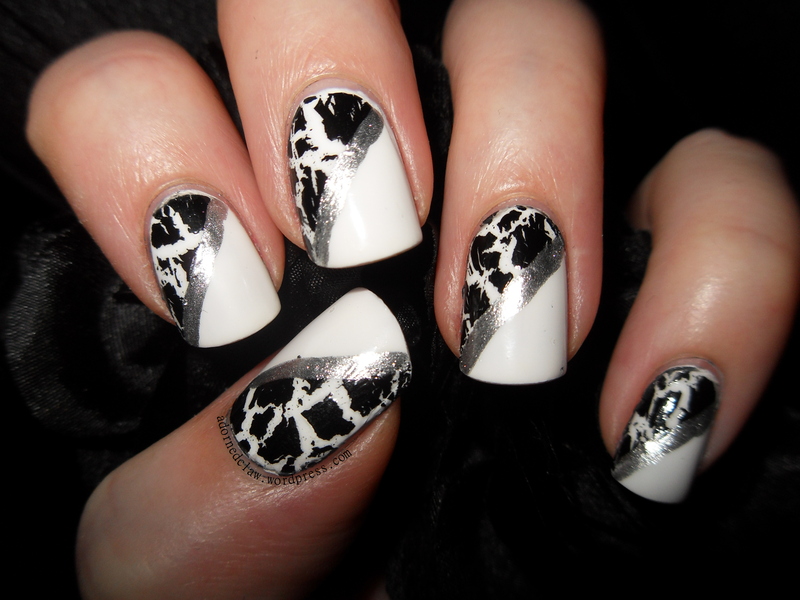 So instead I’m going to show you all how I fix my nails when they break like this! I find that it’s really important to get all of the equipment ready before I start a nail repair. There’s a lot of glue involved and I have managed to stick my nails to random stuff while looking for something (hangs head in shame)! 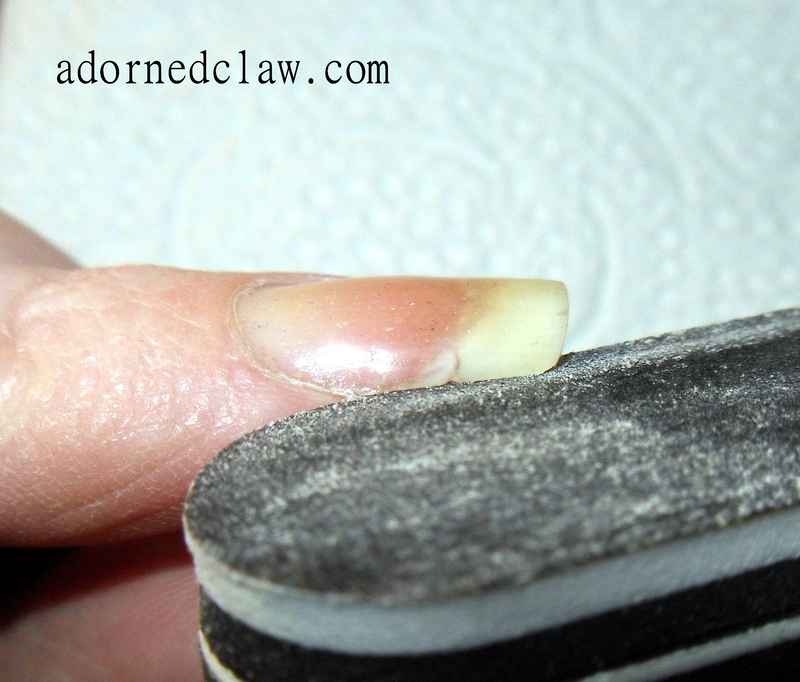 Holding the broken piece of nail with tweezers, I find that it’s much easier to do this with the curve facing down, apply a thin coat of glue to the broken edge. 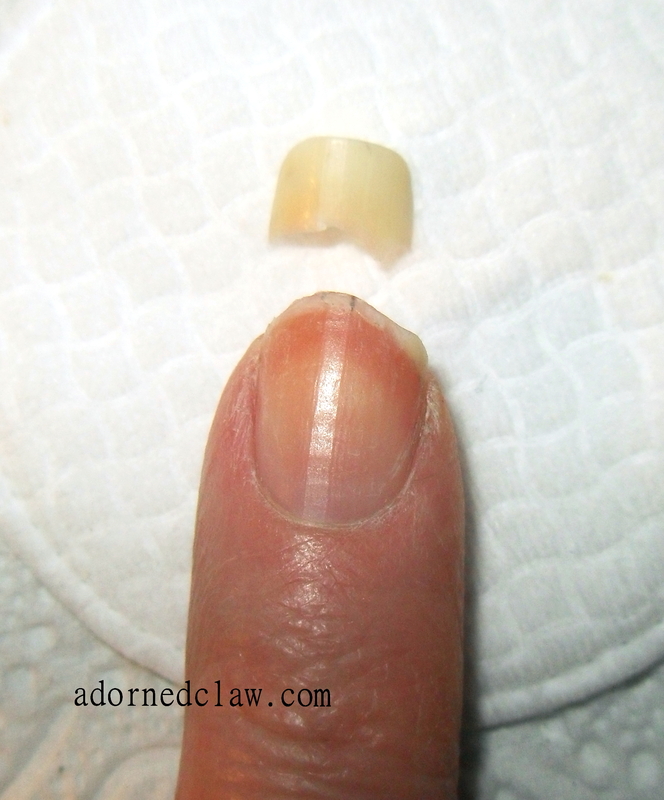 Then I applied it to my nail, it was a bit like a little jigsaw puzzle so I gave it a bit of a jiggle to get the nail firmly stuck in place, then I held the nail in place with the tweezers with a firm (but not so much it hurts) pressure for around 30 seconds so the glue has time so set. 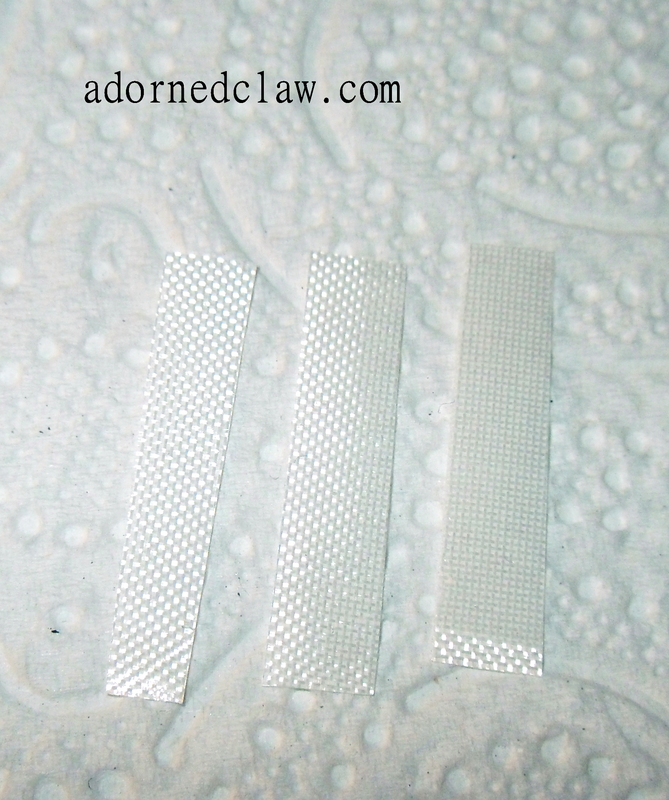 I picked up this fiberglass wrap strip from Sally’s, I chose to use fiberglass because silk wouldn’t be strong enough and also I really don’t like the idea of anything being boiled alive for my beauty products! Using a really sharp pair of scissors I shaped the fiberglass to fit my nail bed. The third strip was just in case I messed any up lol! 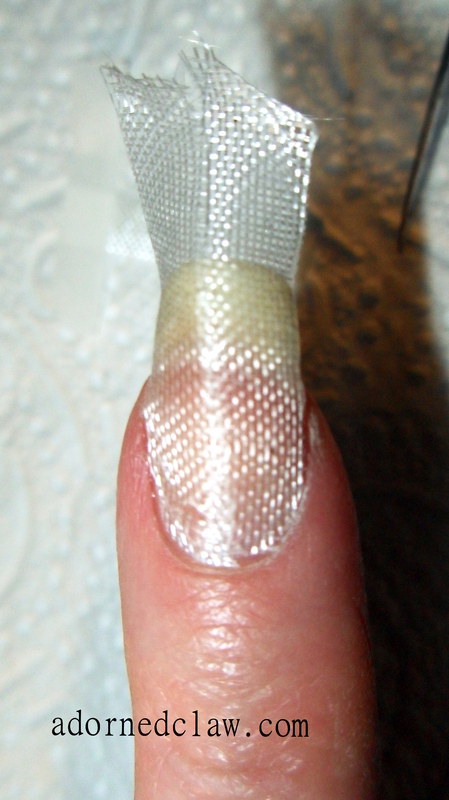 Here are the two thin strips (badly) applied to my nail. It can sometimes be a bit fiddly to remove the backing paper and the fiberglass can disintegrate a little so I always start peeling on the unshaped edge. 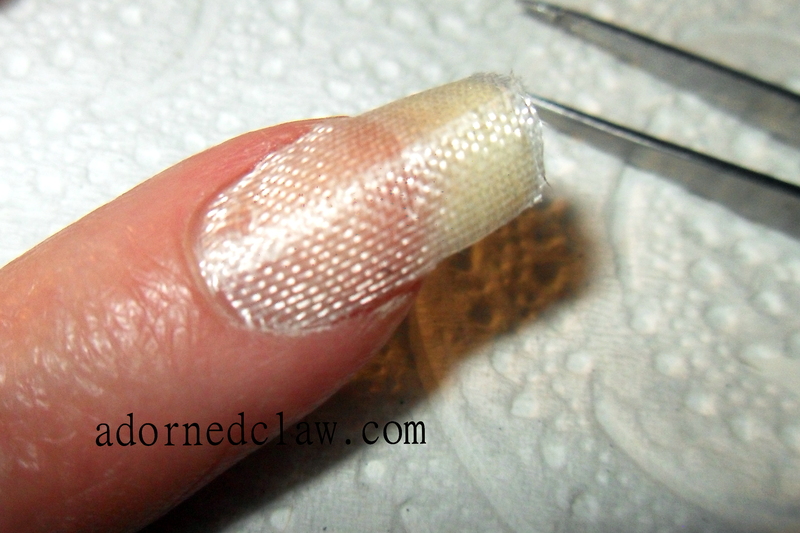 Once the fiberglass is freed from the backing paper, I gently lay it on the nail and reposition it with tweezers until its in the correct position, then do the same with the other strip. 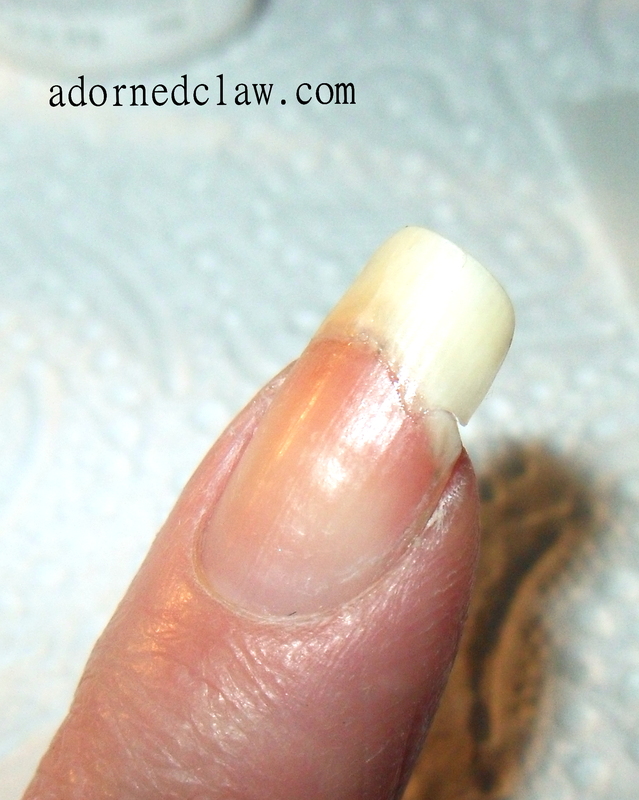 Starting at the base of the nail I then gently press the strips into place. Then it’s time to trim away the excess, I left a couple of millimeters at the end to help stop it from lifting away from the nail when the glue is first applied. When the glue had dried It really doesn’t take that long but I like to leave around ten minutes for this, I filed away the little overhanging bit at the edge of my nail, holding the file at a 45 degree angle and filing downwards or away from the nail, it’s important not to pull any bits of the fiberglass as this can damage the glue and the wrap won’t last as long. After all the excess had been filed away it was time to start buffing! I used the ridge removing side of my buffing block to start removing the textured feeling from the wrap, I have found that buffing the nail too much will weaken the wrap but not enough buffing and the nail will look lumpy. This second lot of buffing is to see which parts of the nail need building up with even more glue, so this time I used an up and down movement so when gently I wiped away the dust with cotton wool it was easy to see which parts needed more glue. And there is a big section directly over the join! 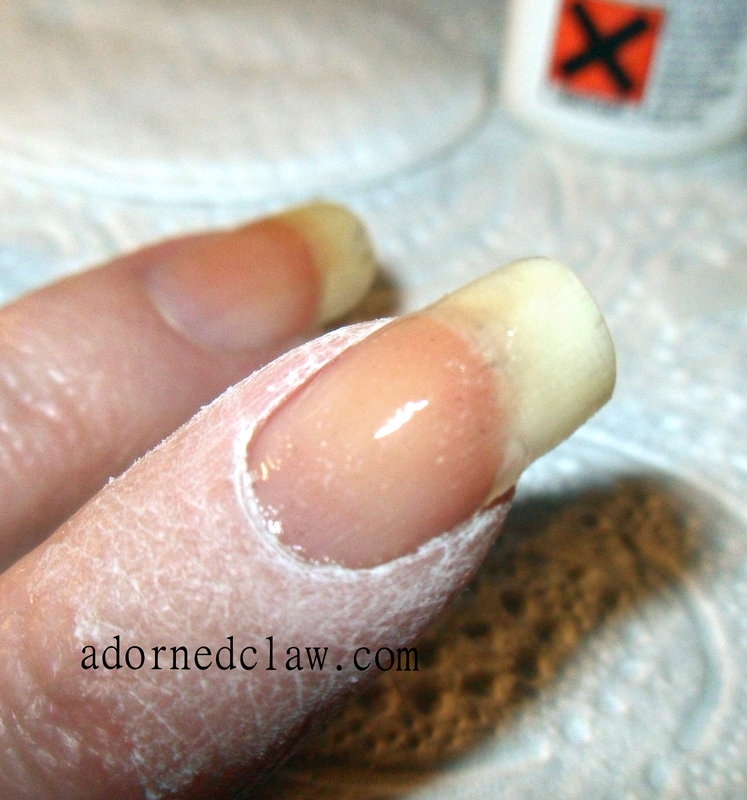 So I repeated the gentle buffing, wiping with dry cotton wool and applying glue until it was level with the rest of my nail. The last thing I needed to do was to file away that sharp point to stop it from catching on everything! 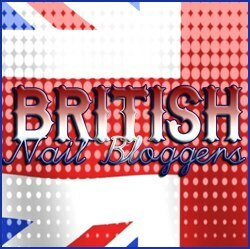 Then it was time for all of the cuticle oil and hand cream! I have to admit that I’m not the neatest of people, especially when it comes to painting my nails. (Far to much coffee probably has something to do with it.) 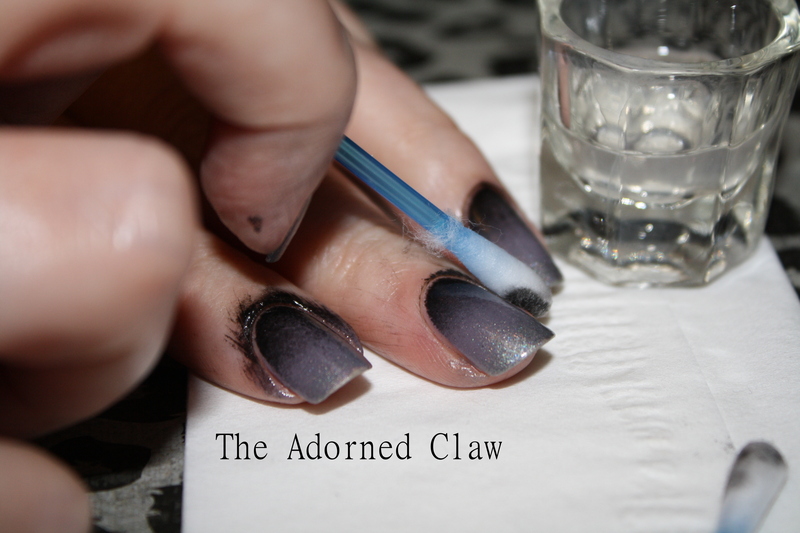 So this is how I clean up my fingers and (try to) tidy up my finished polish. These are the things that I use. 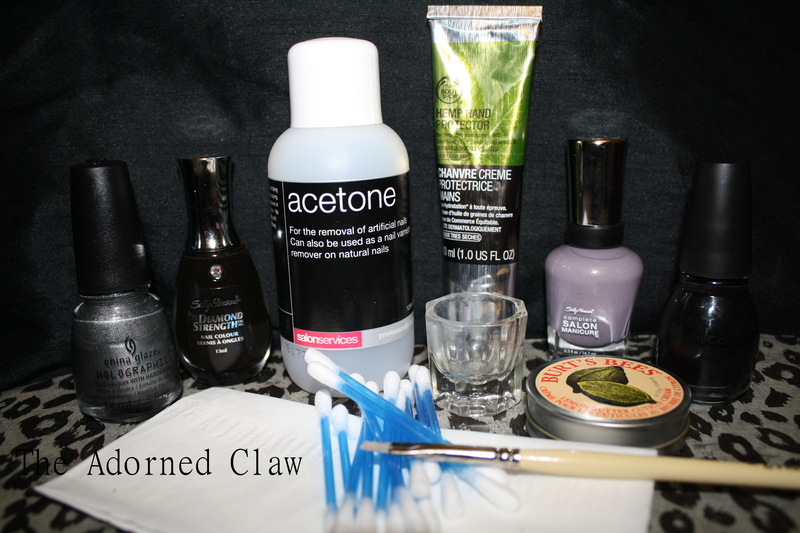 100% Pure acetone – For the clean up I like to use pure acetone. 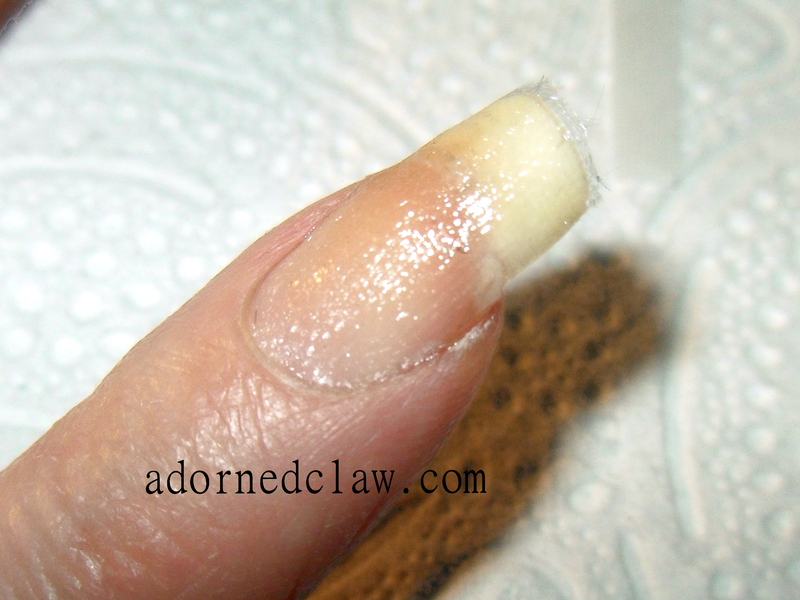 I have found that it is loads faster than using standard nail polish remover but this method will work with standard polish removers. 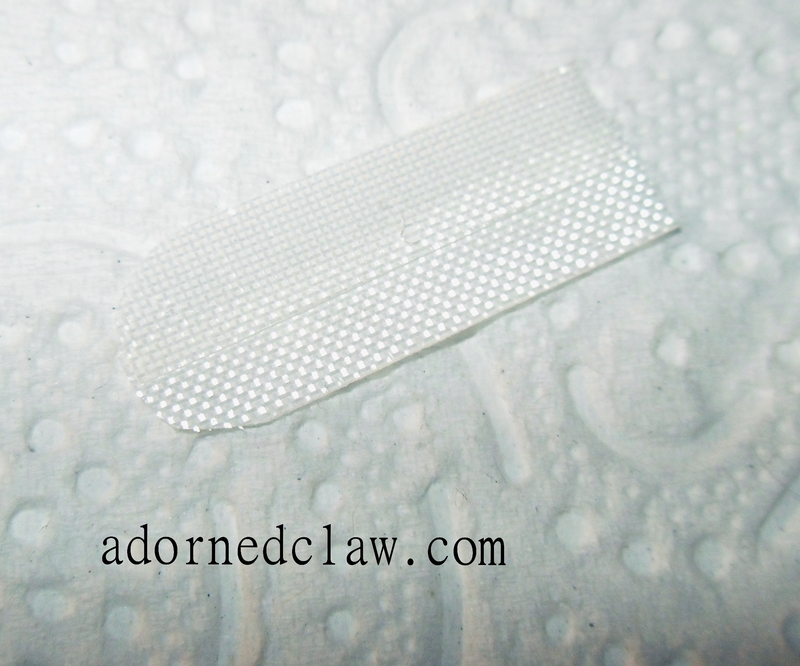 Cotton buds (q-tips) – if it is really messy! A brush. – At the moment I use a stiff artists brush (one for oil paint) I found this type of brush works really quite well but I am going to have to get a new one soon, mine is starting to look a bit worn, I suggest experimenting with different brushes to find one that works best for you. There are plenty out there in different price ranges! Paper towel or tissue – to wipe your brush. Cuticle Pen/oil or cream – I like Burt’s Bees Lemon butter cuticle cream. It’s rich with out being greasy and it smells amazing! Oh and some hand cream. some of the stuff you’ll need. 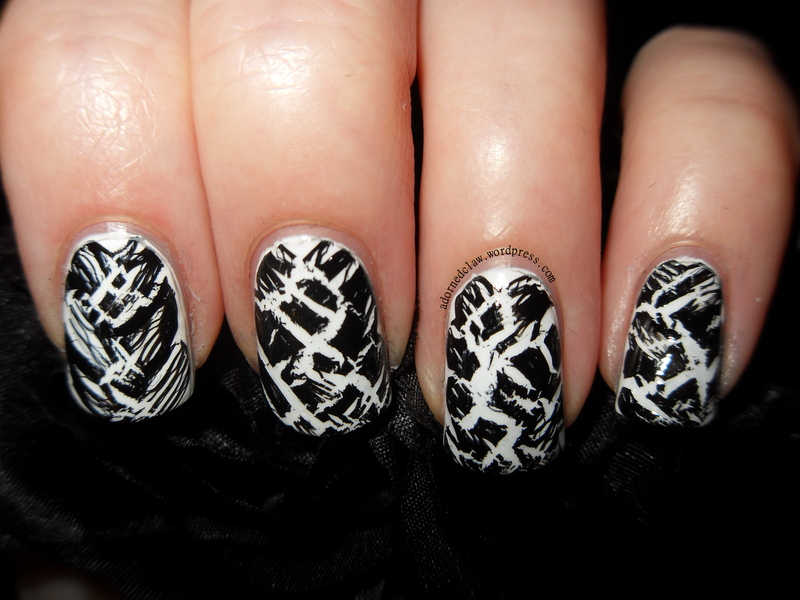 I have used a sponging technique using Greige Gardens and Pure Midnight, both from Sally Hansen, Black on Black from Sinfulcolours and Cosmic Dust from China Glaze. I usually clean up my cuticles before applying the top coat, cleaning up before the top coat is a lot faster as the polish hasn’t had time to fully dry. 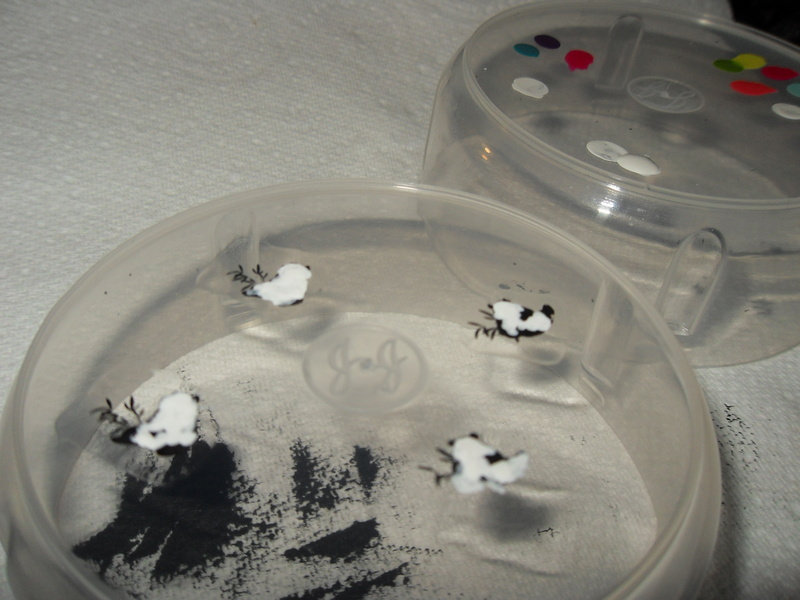 The only time I clean up after is when I have been doing a nail stamp manicure, I have managed to smudge the print and ruin it a couple of times. 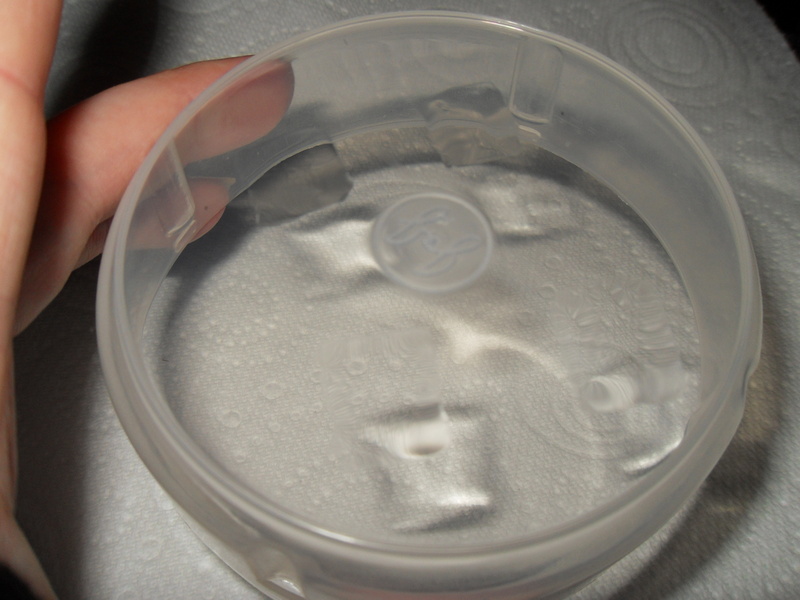 Pour a little bit of acetone/polish remover into your small container, there is no point in filing it all the way up as more will end up evaporating. 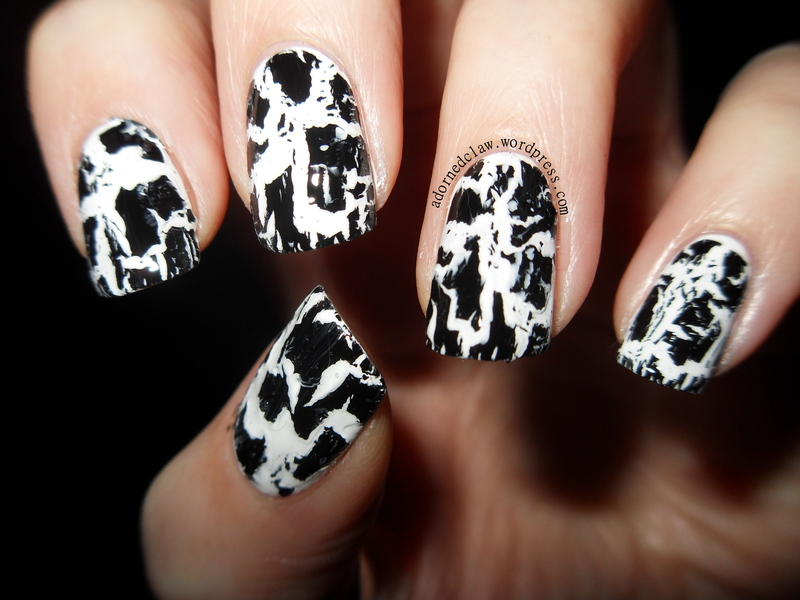 For a messy manicure like this one I like to remove the majority of the polish from my fingers to start with. I use a cotton bud (q-tip). You want to wipe rather than rub the polish if you rub at it too much you may end up staining your skin. 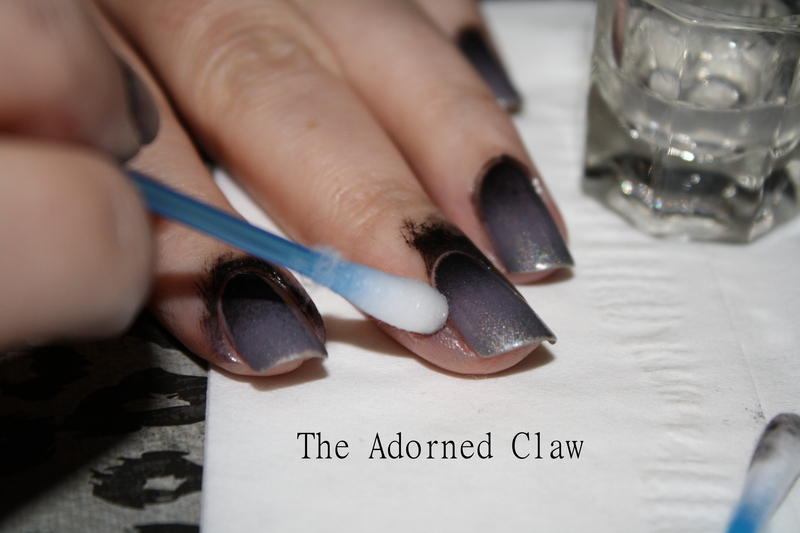 It takes a little practice but if you gently rotate the cotton bud (q-tip) in the opposite direction to the direction you are wiping it will lift away loads more of the polish you want to get rid of! 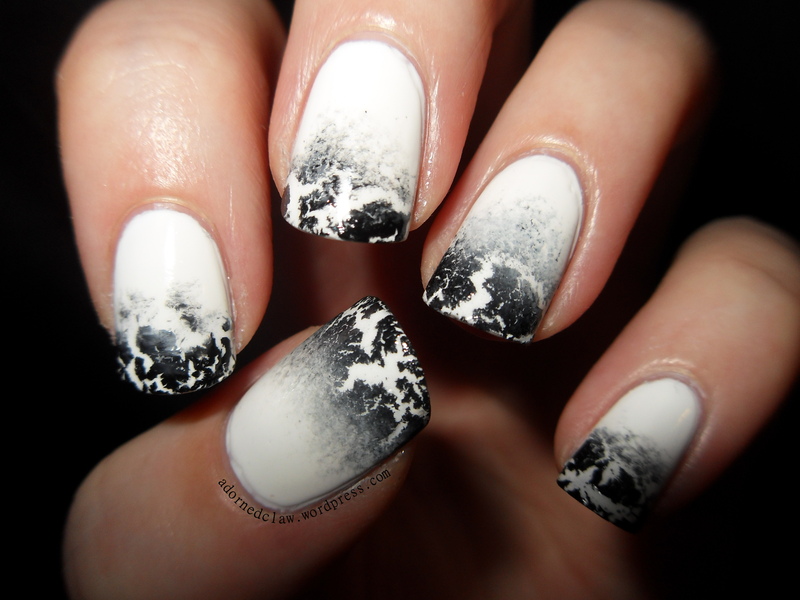 You’ll want to clean up as close to the cuticle as you can, as cleaning it all up with a brush will take ages! 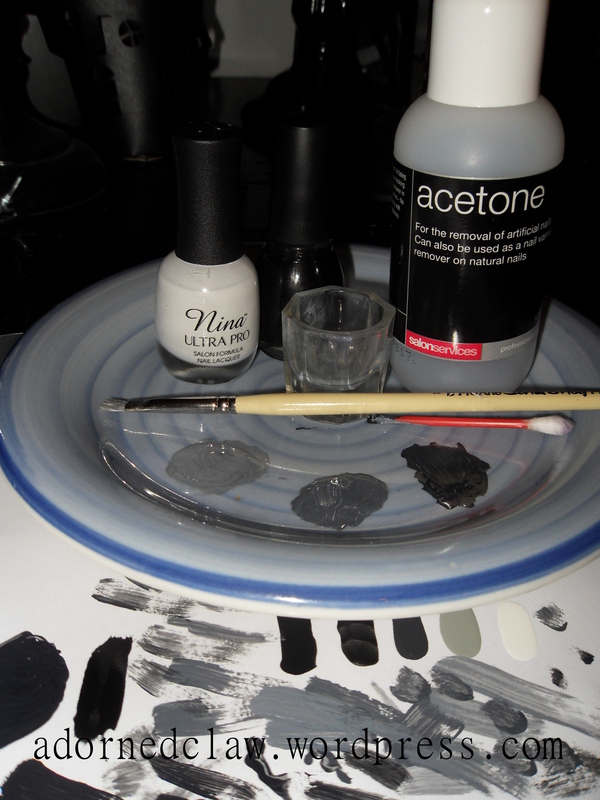 Dip the brush into acetone, tap the brush on the side of your container to get rid of the extra. 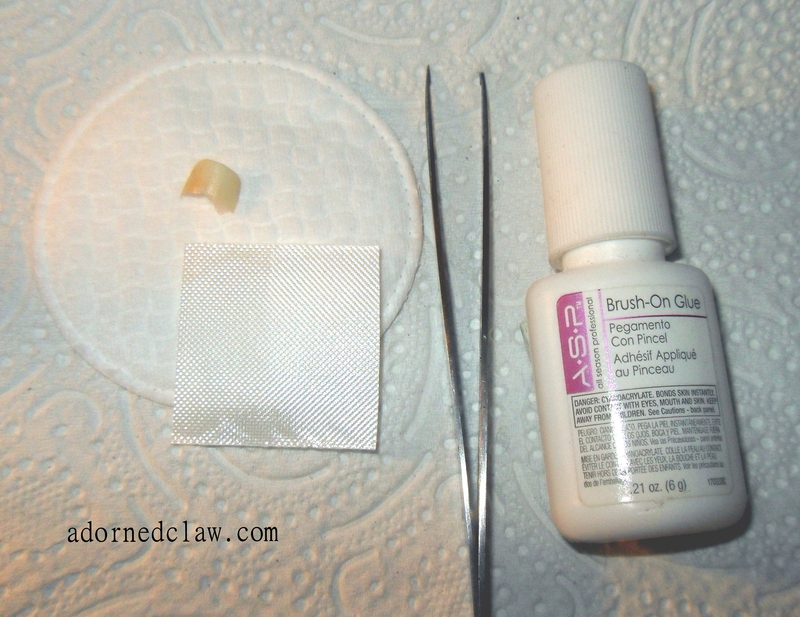 This helps to stop your cuticles from getting soaked with acetone and messing up the edges of your polish. 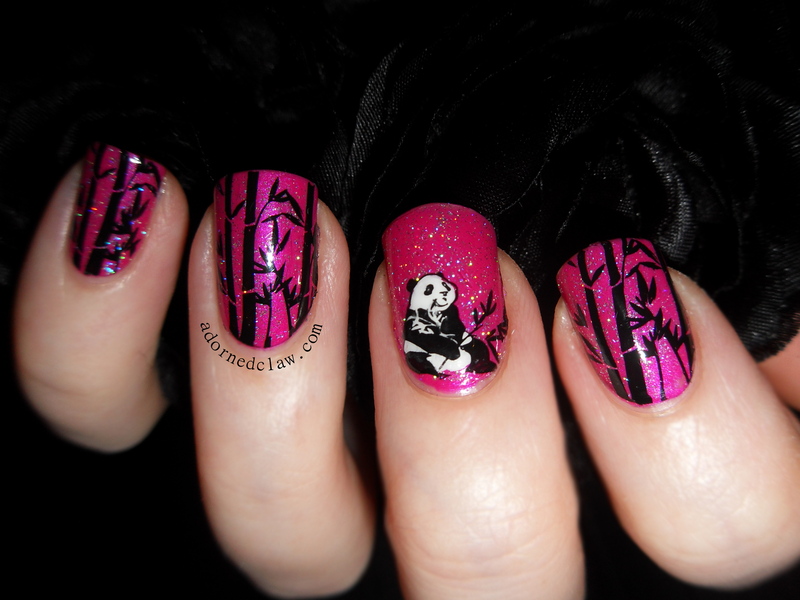 Brush along the cuticle toward the nail tip. 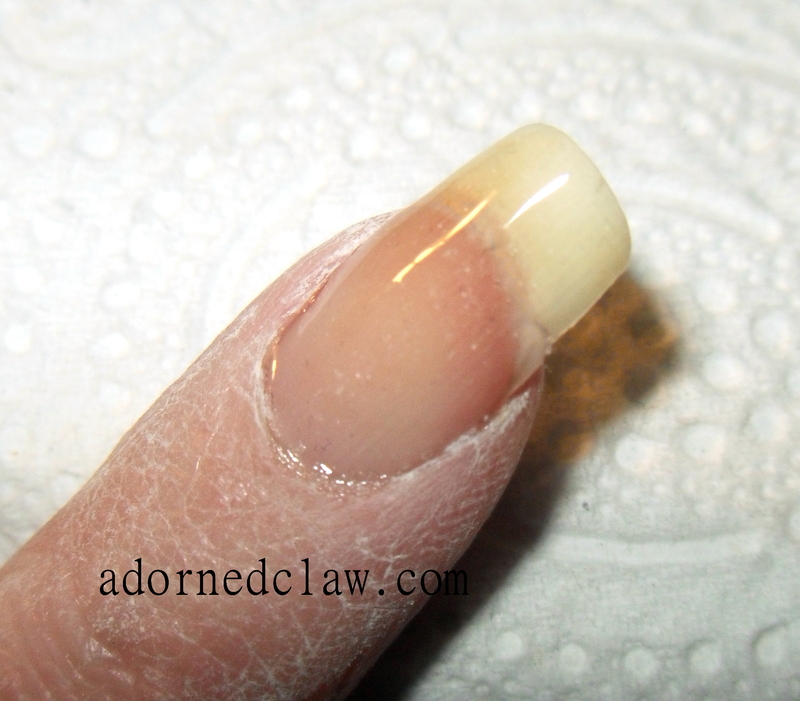 Starting at the base of the nail gently sweep the brush along the cuticle toward the nail tip to remove the excess polish. 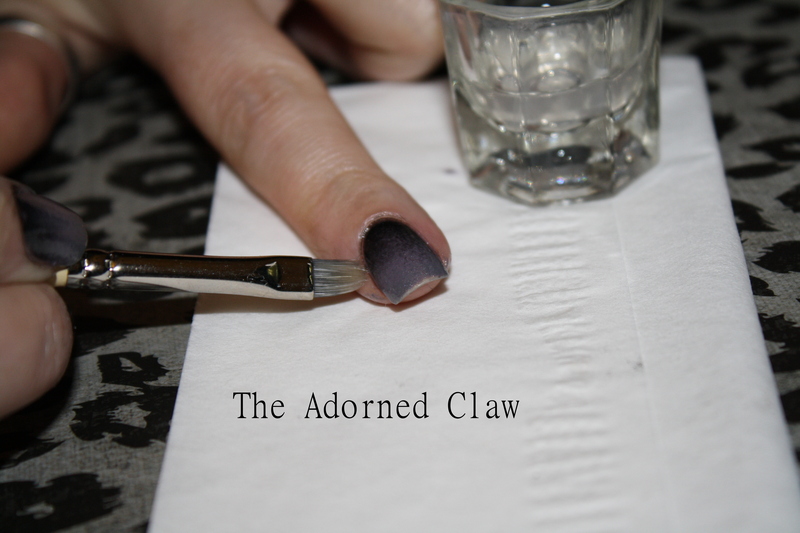 Make sure you are very gentle while doing this as you don’t want to be taking off too much polish from the nail plate, wipe the polish from the brush on to the paper towel. Then repeat until you are happy with the results! For your non dominant hand doing this can be a bit of a problem I’m still not amazing at it! 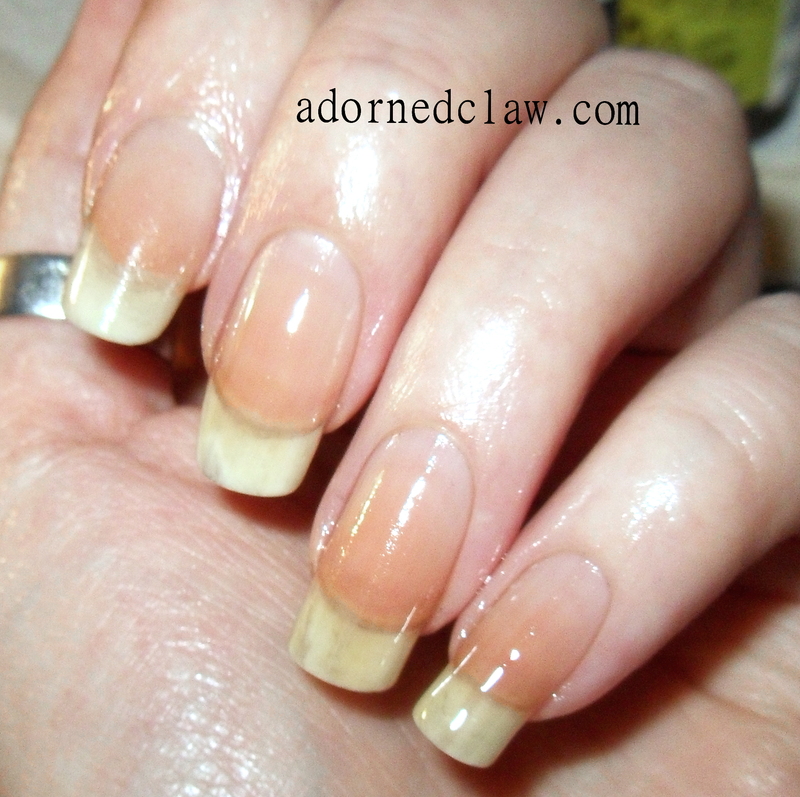 Once your hands and cuticles are free from polish. Apply your top coat (if not already applied) I use Seche Vite, it’s really fast drying and helps the polish last for ages! 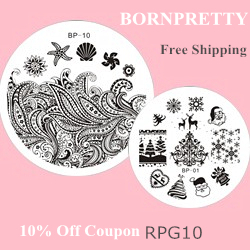 Wait for it to dry, then give your hands a good wash, this is because no matter how careful you are there is going to be a really thin layer of polish left on your fingers and I’m sure that can’t be good! 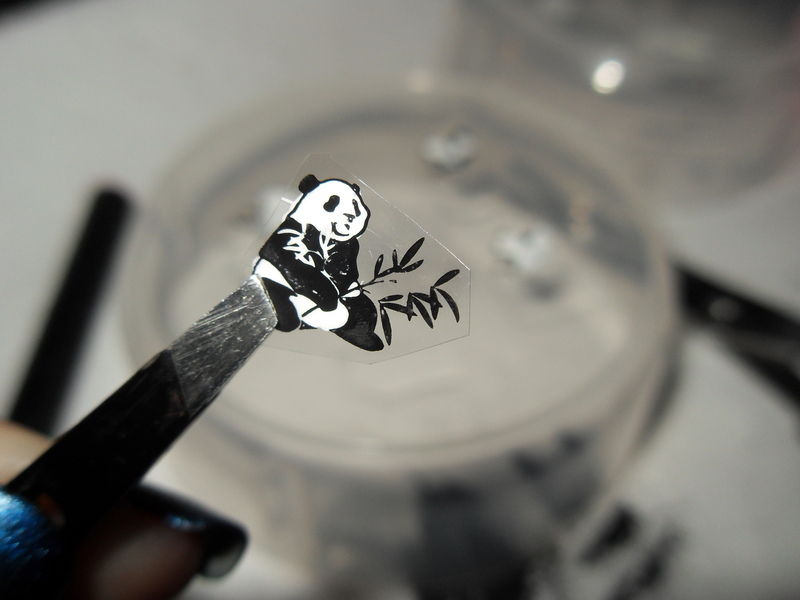 Now it’s time for some cuticle cream, I think this is really important as acetone can be very drying! 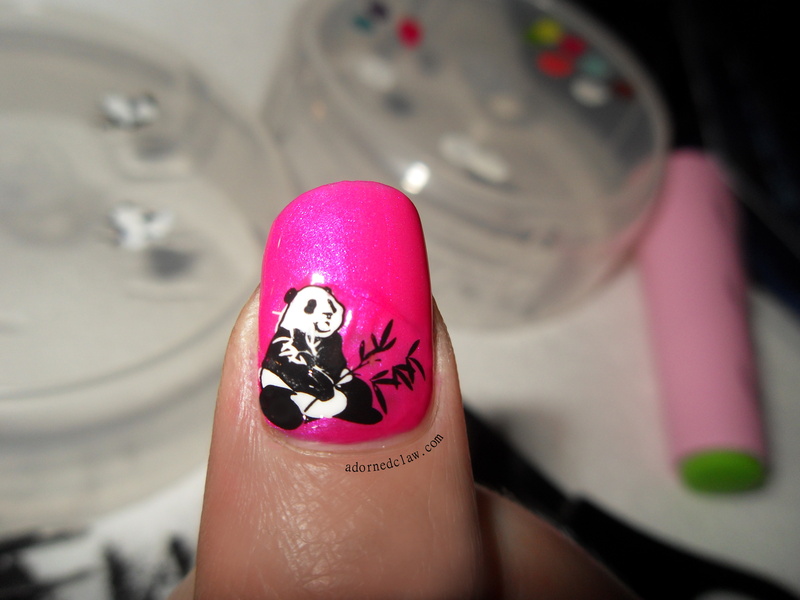 Carefully massage it around your cuticles, apply some hand cream and you are done!